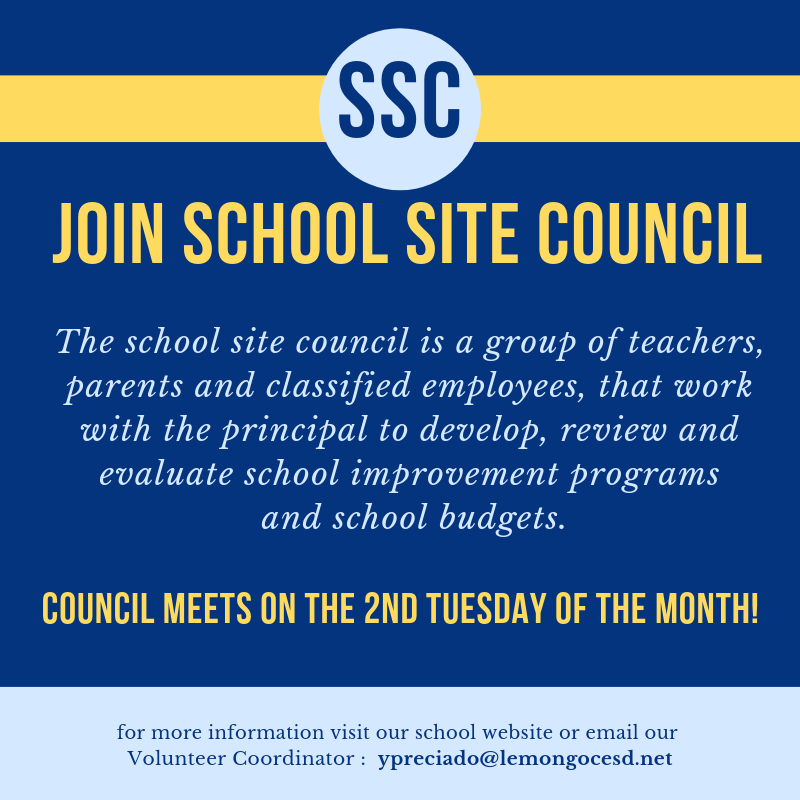 A School Site Council (SSC) is group of teachers, parents, administrators, and interested community members who work together to develop and monitor a school's improvement plan. It is a legally required decision-making body for any school receiving federal funds. The California Legislature believes that the individuals who are most affected by the operation of the school should have a major role in the decisions regarding how a school functions. Education should be a joint effort of parents, teachers, administrators, and other school staff. The actions of the School Site Council are the first step in a formal process for developing improvement strategies and for allocating resources to support these efforts. The SSC decides upon the focus of the school’s academic instructional programs and all related categorical resource expenditures for a school. The main task of the SSC is to develop a Single Plan for Student Achievement (SPSA) for the school every year. The intent of the Single Plan for Student Achievement is to create a cycle of continuous improvement of student performance, and to ensure that all students succeed in reaching state academic standards. The school plan serves as an official document in audits to determine appropriate expenditures of categorical funds. Categorical funds are federal and state monies that are available for specific purposes.